One of the first things that many of us look for when applying for a credit card is the interest rate. While a low interest credit card is nice, does interest rate always matter? In some cases it might, but if you are smart about your credit card use, the lowest interest rate might not always matter — especially if you pay off your balance in full each month and you can get some good rewards for using your card. 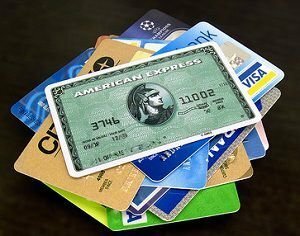 For the most part, the only reason that you might want to worry about getting the best low interest credit card is when you are carrying a balance. If you have a balance on a high interest credit card, it can make sense to transfer your credit card balances so that you are paying less interest (or even no interest for the introductory period). This allows more of your payments to go to the principal, rather than going to the finance charges. You can pay off your credit card debt quicker this way. Another reason to have a low interest card in your wallet is if you intend to carry a balance. If you regularly make large purchases, or if you run a business, you might carry a balance regularly for a few months at a time. In these cases, having the lowest interest rate credit card really does matter. You pay less in interest in these cases. A rewards credit card typically has a slightly higher interest rate than other types of credit card. However, you aren’t being charged interest anyway if you pay off your balance each month, so it doesn’t matter if you have an interest rate of 15.99% or 20.99% as opposed to 11.99%. For those who want access to a good rewards program, the compromise might be a slightly higher interest rate. However, if you plan out your spending so that your credit card purchases are within your budget, it shouldn’t be a problem. You spend money using the credit card, and you pay off the balance each month so that you aren’t paying interest charges. You get the best value for your rewards program without worrying about how high the interest rate is. Combine this with a good emergency fund, and you won’t have to worry about interest charges stemming from purchases made in a pinch, because you had unexpected expenses. 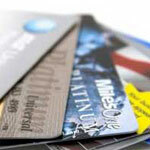 Interest rate should be one of the factors you consider when choosing a credit card. However, it shouldn’t be the only thing you consider. Think about your credit habits, and consider your needs. If you are financially sound, and can pay off your credit card balance each month, interest rate isn’t so important. Instead, you can focus on getting access to the best rewards programs, and looking for credit cards with other perks. Phil Taylor is the author of PT Money, a personal finance blog about saving money, making extra money, credit cards, coupons, living frugal, debt payoff, and more. Low interest rate cards are great for young people. We all know that kids under 25 will most likely have a few hiccups when learning how to use credit properly. College students and young adults who are trying to start their careers often need to live off credit to get by financially. It is inevitable that they will carry a balance. Low interest cards are perfect for this type of situation. Since I always pay my entire balance each month the interest rate does not matter to me. If I needed something that I could pay off at the end of the month, I would use my line of credit. I always opt for the airline frequent flier cards. @krantcents – I always pay mine off each month too, but my preference is cash back since I don’t travel enough nor have the discipline to accumulate and trade in points.